•Christina Benevides, two-year term as a District 1 representative. •Emmanuel Cannady, three-year term, District 1 representative. •Greg Terhaar, two-year term, District 2 representative. •Gail Jessett, three-year term, District 2 representative. •Barbara Bonner, two-year term, District 3 representative. •Dennis Cronin, three-year term, District 3 representative. Karen Stratton is the city staff liaison to the Human Rights Commission and can be reached at kstratton@spokanecity.org. When Greg Terhaar graduated from Lewis and Clark High School in 2007, one of the classes he completed was Advanced Placement European History. 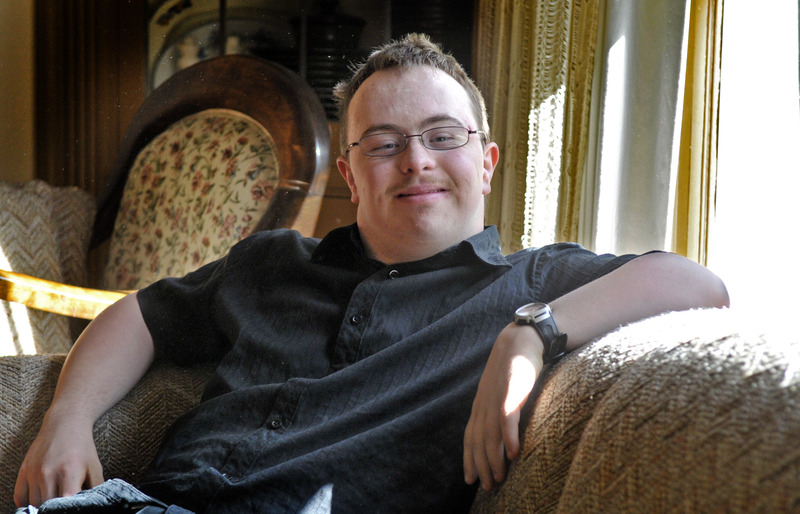 Early in life, he decided that the fact that he has Down syndrome wasn’t going to slow him.With his family’s support, he excelled in school while also competing at the regional and state levels of Special Olympics. He was chosen as one of five graduates who would change the world by The Vox, a teen-produced newspaper that was published by The Spokesman-Review. Terhaar is fulfilling his part of the deal: He’s traveled to Olympia and Washington, D.C., as an advocate for people with disabilities, and now he has been appointed to the Spokane Human Rights Commission. Verner listened carefully, Terhaar said, then suggested he’d be a valuable addition to the commission. Joe Terhaar, Greg Terhaar’s dad, said Greg is the first person with Down syndrome to serve on the commission. The young man is a frequent speaker at Spokane Guilds’ School programs and Special Olympics fundraisers – he is not at all intimidated by crowds. Many people with disabilities have a difficult time finding employment, sometimes because of the preconceived notions of employers and potential colleagues. Greg Terhaar has volunteered in jobs at the Rocket Bakery and Rosauers supermarket. His last job before being laid off about a year ago was with Kimmel Athletic Supply. Today he takes classes at Spokane Community College while he continues to look for a job. “I would say I have been watching the job sector more than any other person this last year,” Terhaar said, adding that he feels like employment has been cut out of policy-making and public debate. Joe Terhaar said his son has had excellent support through Career Path Services – a nonprofit organization that helps people make career transitions and continue their education. Greg Terhaar said his dream job would combine history and politics, very much like work on the Human Rights Commission will do. Terhaar realizes that his practical job may be a bit more pedestrian – say doing dishes at a restaurant or working in customer service – than his dream job of being a docent or a historical guide somewhere. “We have always prepared him for that,” said Joe Terhaar. For now, the job hunt continues as does Greg Terhaar’s passion for human rights.